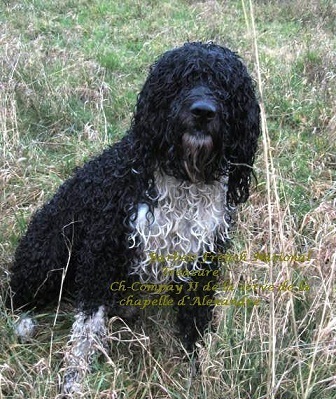 Ela Samba de la serve de la Chapelle d'Alexandre should be having her first litter in March in Switzeralnd. 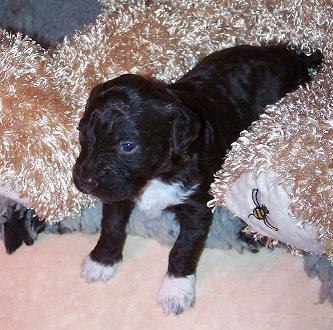 Dad is Joy and also brown, so all pups will be brown. I am very proud to see Chesara's first female reproducing...however,I also have to add they will be at Swiss watch prices. Django de la serve de la Chapelle d'Alexandre: aussi beau que bon. 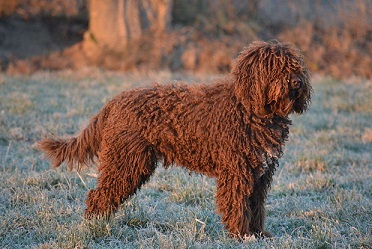 When rebuilding a breed as "historically" well known as the Barbet, it helps to have references . 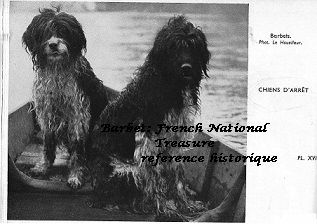 I am ever so proud as one would say, over the Channel, to share with you a first photo of a Barbichon of Nelly's, born today in London. 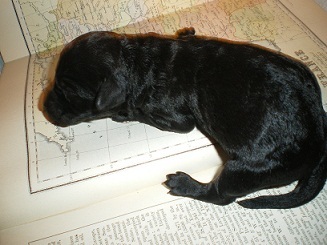 5 pups( black and browns) all doing well and all......reserved. Alas. 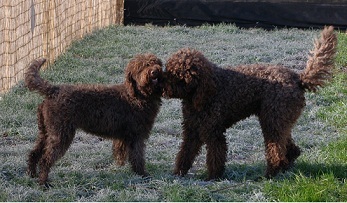 It's going to be tight getting a Barbet these days! I am not sure who is having more fun, them or me watching them!